"How do you teach Paper 2?" "Can you tell me how to teach Section A / B / C?" I believe no English teacher wants to 'teach Paper 2' or 'Section B'. Or Section A, or C or any section for that matter. We all just want to teach the language. But...yeah. I know how it feels. I'm a Malaysian teacher, I teach in a government school, and I teach Year 6. You know what I mean? "The point is not that teachers teach to the test, but to develop tests worth teaching to." I know, I know. I purposefully put the quote there just for us to think about it for a second, but I'm not going to write about that in this post. :-) Sorry. If you like, leave me a message and we'll continue the discussion at the coffee shop. Since there isn't much we can do about it (the clock is ticking, and UPSR is just around the corner, and the headteacher and every one in the office is panicking, you try to panic too but the students who are going to sit for the exam don't seem even one tiny bit concerned and now you're not sure whether to join the children in their lackadaisical attitude or the adults in their panicking frenzy), it wouldn't help us much to talk about policy or what Malaysia is doing for her children so let's just go direct to the point and talk about 'how to teach Section B.' Shall we? So I tried to get the students to memorise. They couldn't. Ha ha! I should have known, I wouldn't be able to memorise all those lengthy ridiculous sentences myself. 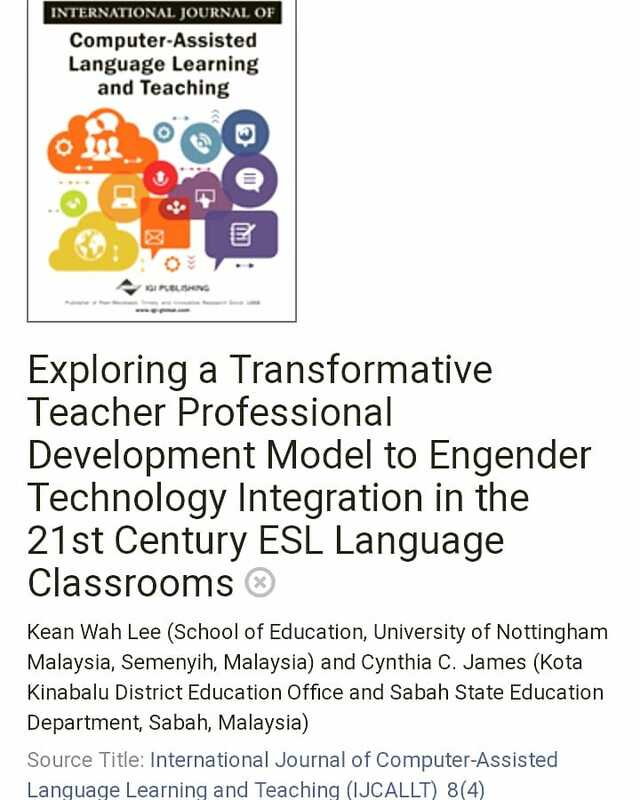 But apparently, many teachers find the module to be quite useful - a teacher from Kota Belud told me that his school gets 100% passes every year since he started using my module. Wow. I guess his students must have superb memories. My students don't have superb memories. I don't blame them. As far as poor memory is concerned, I think I'm the worst. I miss my doctor's appointments quite often. I can forget my own birthday. I misplace my keys at least three times a month. The memorising technique doesn't quite work for us. I think it's time for me to change my tactic. Students would be given the information for three different items. In this case, it is about three different types of food. In the first part of the question, the students are required to transfer the information into the table. Easy-peasy. The second part is a bit more difficult. Students are asked to choose one of the items, and give the reasons for their choice. In the example above, the students have to choose one of the food items for a class trip to the zoo. Q: So what do you think about the event? A: Hmm...because it is...hmm...best lah! Q: Are you enjoying yourself here? A: Yes, I am. This is a very enjoyable event. It is excellent and it is good for our country and our nation. Q: Can you explain further? Why do you think it is good for our country and our nation? A: It is good for our country and our nation because it can develop our minds. We can learn a lot of things from this event. Q: So what do you learn from this event? A: (Looking confused). Hmmm...ah. A lot of good things that are...uhmm...good for the nation. I try to get into the UPSR item builders' minds. I try to understand what it is that they wanted out of this question. This is an English language examination paper, so the question must be testing the students' English language abilities. Right? Part 1 - the information transfer part - is easy. That part is testing the students' ability to read and understand information in English, and their ability to transfer those information into other form, like a graphic organiser for instance. Let's look at Part 2. In this part, the students are required to make a choice and to give reasons for that choice. If we are thinking only in terms of getting the students to pass the examination, giving them a list of sentences that they can memorise would be the easy way out. But most of the students would be memorising the sentences without understanding what they mean. "The price is reasonable, we can afford it." "It is my favourite." "It is the most suitable." This is rote memorisation. The students will be able to answer the question well and get good marks out of it. But in terms of language learning, I don't think they are learning much. Besides, the reasons are supposed to be given by the students, not the teacher. The students are supposed to be able to choose for themselves, and to be able to justify the reasons for their choice. The students are NOT supposed to memorise reasons given by the teacher (!!!) and then write those 'reasons' down word for word as their answers in the examination. Well, if we want, we can still do that. After all, the most important thing is to get the students to pass the exam. Right? Think about the two interviews. The first youth enjoyed the event, but he was not able to say why. He was probably like most of my students. Not good at memorising. He could say that something makes him feel good, but he couldn't tell why. The second youth was apparently a better student in primary school. I think she must have gotten full marks for her English Paper 2, Section B, Part 2. She was clearly very good at memorising. She could spell out every word in the sentences that her teacher had asked her to memorise. Her answers were 'text-book perfect.' But did she understand any of what she was saying to the interviewer? Did she really feel that way about the event? Was it her own opinion? It's true. I honestly do. Section B, Part 2 gives the students the opportunity to think and to express themselves. It gives the students the chance to make a choice. It teaches them reasoning techniques. And it trains them to think. It is very relevant to the MoE's call to foster higher-order thinking skills among the students. "But it's so hard," the exam-oriented-teacher-side of me is saying. "How am I able to get my students to do that? They don't have enough language ability to do that independently. So how am I going to get them to 'express themselves'?" "It's hard, but it's doable," the language-teacher side of me replies. It has been said that language teachers are the most creative teachers. I don't know how true that is - teachers who teach other subjects please don't be mad at me. :-) You guys are creative too. (But we are more creative, he he). 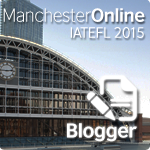 Language teachers are creative teachers because they can teach language out of anything. It has been said that language teachers rarely need books to teach. Give them a tree - they'll use it to teach nouns, or parts of a plant, or maybe tell a story about a tree. Give them a door - they'll use it to teach adjectives (the colour of the door, the size and etc.) or proverbs (e.g. 'the door is open' - implying an opportunity). Give them a kitten, and they'll use it to teach parts of the body (ears, eyes, whiskers and etc.). Give them some fruits and they'll use it to teach numbers or shapes or even grammar (e.g. singular and plural). Give them a photo, or a travel brochure, or some newspapers - the possibilities are endless. Language teachers can extract the language like a juice out of anything and then give it to their students to drink and enjoy. So let's put this creativity to the test and look at Section B, Part 2. Let's see if we can extract the language out of this exam question like a juice and give it to our students to drink and enjoy. What grammar items can we teach using the question? We can teach adjectives. We can show our students how to use adjectives to describe the item that they've chosen. The food is delicious, the colours are bright, the kitten is cute, the activity is challenging. Since they have to choose out of three items, we can use it to teach comparative and superlative. This item is cheaper than that one, this shirt looks more beautiful, chocolate cookies always taste the best. Paper 2 is a writing paper, so of course we can use the question to teach the writing skill. 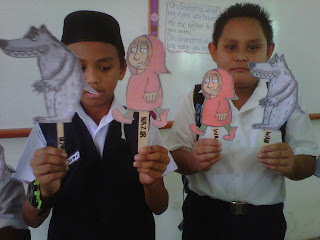 We can teach the students the basic of paragraph writing. We can introduce the students to topic sentence and supporting details. We can teach them how to write a concluding sentence. We can expose them to logical connectors or linking phrases - firstly, besides, furthermore, in short etc. We can show them how to use sequence connectors - firstly, secondly, thirdly etc. How do we do that? There are lots of techniques out there that we can use. We can use shared writing, scaffolded writing, parallel writing, guided writing, jigsaw writing. More on these in the next post. The examination task is to write, but we don't have to confine classroom activities to writing. We can use the question to teach reading comprehension. Write a sample answer for the question, and use it as a reading text. Ask questions about the text. Get students to talk about the text. Let them draw a mind-map or a graphic organiser. Show the students how to find the keywords in the text. Highlight the keywords, find the meanings, do some vocabulary work, play word games. 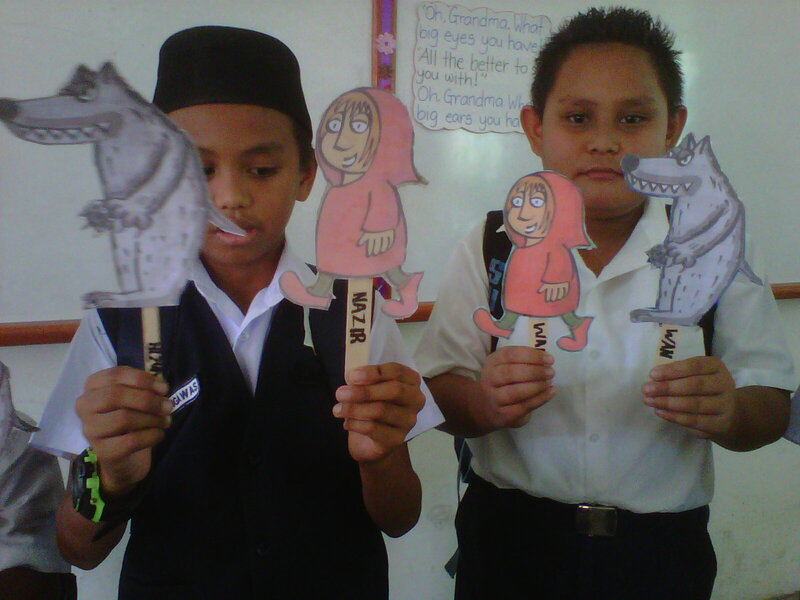 We can even do a speaking activity out of it. I can bring three of my favourite shoes into the classroom. I will tell the students that I have to go to a special dinner at the restaurant this evening. Which shoes should I wear? The students will definitely say: Ooooh...special dinner. With whom? I'll pretend to blush, and say: Now, come on. Tell me. Which shoes? The students will be all excited to tell me their recommendations, together with their reasons (without me having to ask!). Reasons that are honestly from their hearts. Not 'reasons' that they memorise out of a book or a module. I must choose topics that are interesting for my students. I shouldn't confine myself to past year questions or whatever boring stuffs that are in the workbook or textbook. We can talk about organising a concert in Kunak, for instance. Which pop singer would you invite? Or what do you want to be when you grow up? If I give you a hundred ringgit, what would you do with the money? Give me your reasons. There's no right or wrong answers, but you must have your reasons. Disguise it, don't make it about the exam paper. Involve the whole class, make it fun. Let's choose a president for our karaoke club. Let the students nominate their candidates. Narrow it down to the top three. Let the candidates talk about themselves and why their friends should choose them as the president. Then let the audience choose and give their opinions, their reasons. Or it can be something much simpler. We can read a story. Then the students pick their favourite characters and tell the class why they think the character is the coolest, or the best, or the most interesting. Of course, some of them will give their opinions in their first language. It doesn't matter. I can help them by telling them how they can say it in English. They will be able to remember it better because it is meaningful to them. They will be glad to use it because they know that they mean what they say. I can apply the Language Experience Approach (LEA) - using a student’s own language and grammar to create reading and writing materials i.e. I write down a piece of text that they dictate to me. More on this in my next post. So, if people ask me how I teach Section B, my response would be: I don't teach Section B. I try to extract the language out of Section B like a juice and I give it to my students to drink and enjoy. It may be a lot harder, and may take a lot more time. But I have to do it. I don't want my students to be able to just say "Ah...hmm...best lah!" when asked why they like Justin Bieber or Korean dramas. I think that's it for now. I'll share more on the activities that I mention above in my next post, so stay tuned. Your students must be very lucky to have you as their language teacher. Can't wait to try your awesome techniques with my students too. tq for this sharing, am looking forward to use them with my children. You...well, I don't know how to put it in words. You think so differently from a lot of other Malaysian teachers out there. And for that, you have my respectah!